If you're losing hair or your hair is thinning, you need to act quickly. Like any other condition, the faster you see a professional, the better the outcome will be. 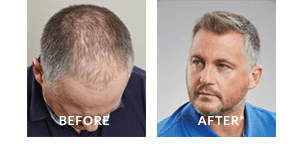 Advanced Hair Studio offers the best hair regrowth solutions in Ireland, thanks to our scientifically-proven, medically-backed treatment programs. Hair loss effects more than just the scalp. It can have a devastating impact on confidence and self-esteem. Inner and outer health are intimately attached, so if your hair loss is hindering your enjoyment of life, it's time to act. Hair growth is possible with Advanced Hair Studio. Plus, with our free, no obligation Hair. Check, you have nothing to lose - get in touch.